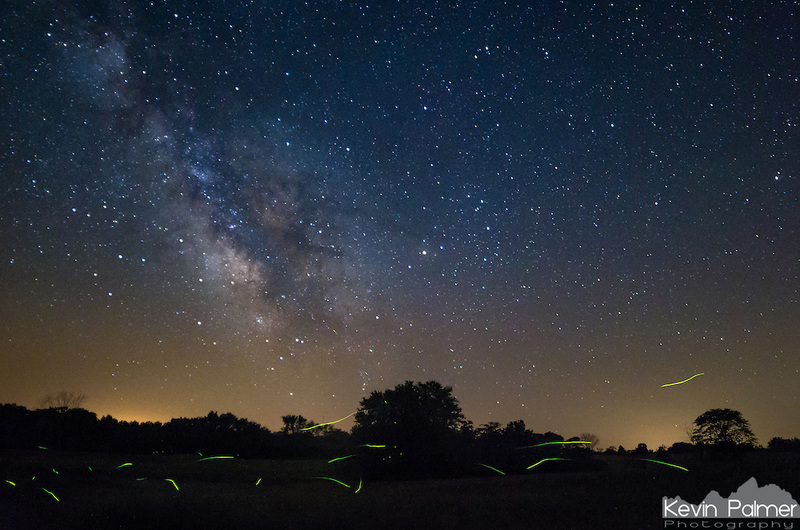 Fireflies buzz around under the milky way. This picture was taken in Weinberg King State Park in Illinois. This location has the darkest skies in the state.